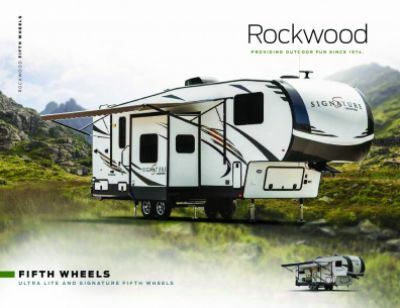 Impress your family, friends, and everyone on the campground with the beautiful 2020 Forest River Rockwood Signature Ultra Lite 8328BS! This Travel Trailer is sure to turn heads! You can find this model now at All Seasons RV, one of the top Michigan RV dealerships! If you're driving to or through Muskegon, stop by our lot at 4701 Airline Rd Muskegon Michigan 49444! To talk to one of our RV experts about this model, call us now at 231-739-5269! Travel around the country with ease, as this RV has a hitch weight of 1153 lbs. and a GVWR of lbs. Once you're at the campsite, relax under the shade and protection of the 13' 0" awning! 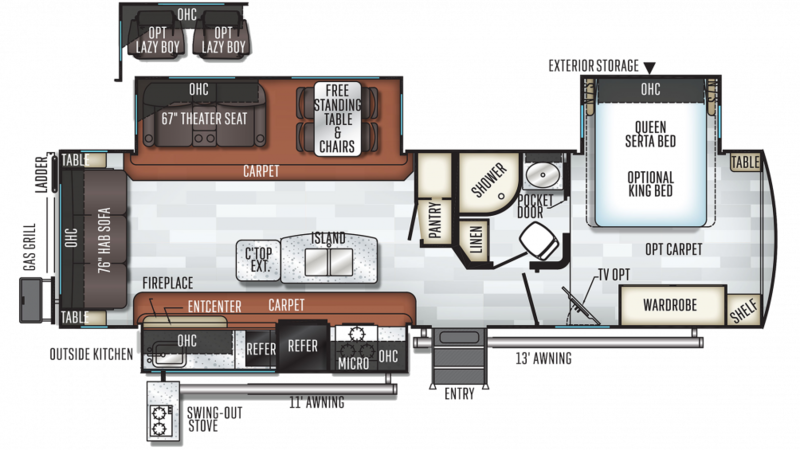 You'll love the ample space inside of this Travel Trailer, which is 35' 5" long, 8' 0" wide, and 11' 5" tall! Plus, the interior keeps a stable temperature too! The climate is controlled by the 13500 BTU a/c unit and the 35000 BTU furnace. Once you step into the bedroom and see the Queen bed, you'll want to fall right in and drift off to sleep! A family of 4 people can sleep comfortably on the cozy sleeping accommodations found throughout this RV! If you love to cook, you won't have to give up your hobby when you're on the road. The fully appointed kitchen comes complete with such great appliances as a 3 burner range cooktop that will let you whip up fish, chicken, steaks, and eggs - all the family's favorites! And the 9.00 cu. ft. refrigerator will hold meats, fruit, veggies, cheese, and cold drinks close at hand! Cleaning dishes is easy thanks to the 60 gallon freshwater tank. Not only is there a beautiful kitchen inside, but there's also an outdoor kitchen so you can whip up delicious meals for your family outside in the fresh air and sunshine!